« Beverly Hills PTA knits hats for kids with cancer! 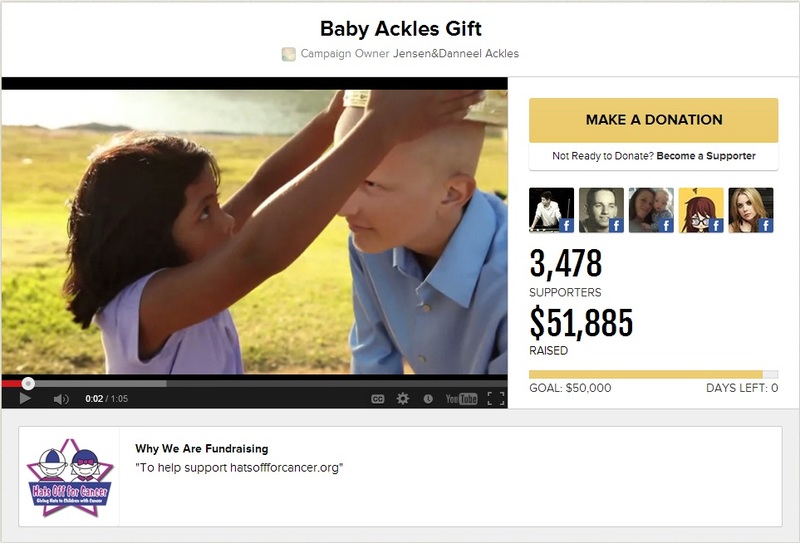 Justice Jay Ackles fundraiser surpasses goal of $50,000! Thank you to all who donated in honor of Jensen Ackles and Danneel Harris Ackles’ new baby girl Justic Jay “JJ” Ackles and surpassed the fundraising goal of $50,000!